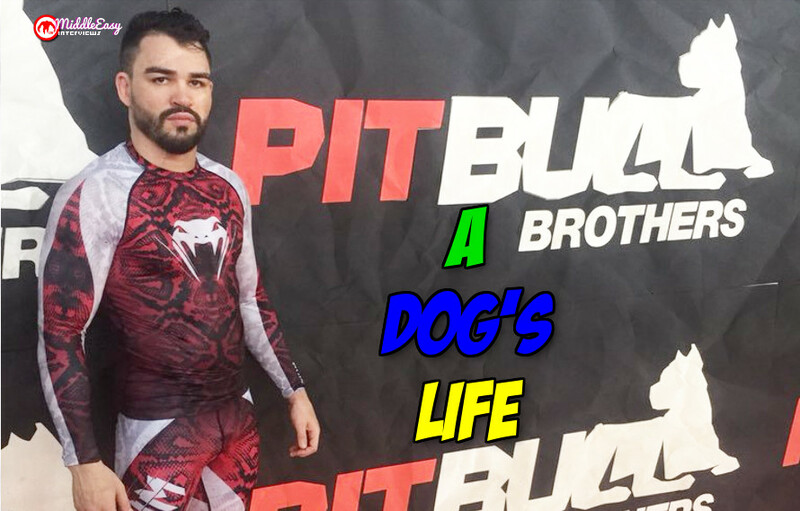 It has been a rocky road to Bellator 205 for surging lightweight contender Patricky Pitbull (19-8) as he prepares to face martial arts veteran Roger Huerta (24-10-1) in a late, last minute replacement fight; Patricky Pitbull was originally scheduled to square off with fellow Brazilian lightweight Goiti Yamauchi who was coming off a unanimous decision loss to Michael Chandler, but Yamauchi pulled from the fight due to injury a few weeks back. The swift change of opponent hasn’t fazed Patricky Pitbull as he told MiddleEasy.com that he’s “Excited for the match-up” & “Excited to fight a brawler like Roger” he believes that Rogers tendency to brawl in the earlier rounds will leave him more susceptible to being knocked out unconscious. He went on further to tell MiddleEasy that he fully expects to win by “Knockout in the 1st round”. Despite his confidence Patricky remains humble stating that “He respects Roger as a martial artist” and that he has no qualms or bad blood with him, going on to say, “He’s a good person, but he’s in my way of a title shot”. The title remains Patrickys sole focus right now, he explained to MiddleEasy that winning the belt is his “Ultimate goal”. Patricky later went on to explain how the change of opponent hasn’t really effected his training camp as he said “My camp is mostly the same just with some more wrestling to stop Roger”. The fight is set to be an entertaining brawl, with Patricky winning four of his last six fights by brutal Knockout and with Roger being on a slide as of late losing three of his last six pro fights. The fights are watchable on DAZN or the Paramount Network.